Choosing the right filtration system for power generation plants is vital for ensuring efficient production and reduction of operational costs. Filterserve supply a range of purification and contamination control systems for a number of applications in the power generation industry. An industry under strict environmental regulation, reliable filters and separators are crucial for the protection of power production machinery. When the incorrect filtration system is in place, the risk of loss of production is increased. Monitoring contamination is necessary for avoiding erosion and costly machine replacements – which leads to increased downtime and decreased efficiency. 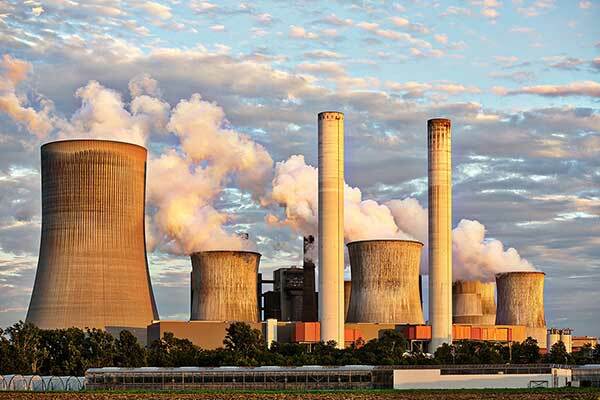 The power generation industry involves a range of power plants including nuclear, steam, renewable and combined cycle plants – all of which face the challenge of purification and maximising production without compromising sanitation. An efficient filtration system is the best solution for these problems. Here are some examples of where filtration in the power generation industry may be required. Combined Cycle Plants (CCPs) require filtration to purify water, oils and gases at multiple stages in the power cycle. Oil lubrication filters are often used to minimise the contamination of fluids and enable plant turbines to run at high performance without corrosion. Production processes in nuclear power plants unavoidably generates radioactive waste, which must be controlled at each production stage. Nuclear condensate filters purify water and protect steam generators that are essential to the production process. A highly efficient solid and contaminant filter significantly reduces the risk of machine breakdowns. In steam plants, self-cleaning filters are required to purify oils, gases and water, as well as to protect power plant equipment operating under demanding conditions. Self-cleaning fluid control filters remove contaminants in hydraulic fluids and systems, ensuring control systems can perform optimally at high temperatures and pressures. Water produced from power generation plant processes can be treated to remove dissolved contaminants. Reverse osmosis filters offer efficient and reliable filtration to produce pure unpolluted water – meeting worldwide demands for clean water. Filterserve have been supplying unrivalled quality filters for over 45 years. Our team of highly skilled engineers have an extensive amount of filtration knowledge and experience of the power generation industry, qualifying them to offer the best advice and provide filtration solutions to meet your exact needs. Give us a call today to start your journey with Filterserve.